CasinoRouletteSecrets.com >> Is it necessary to evaluate the roulette betting systems? To evaluate the roulette betting systems or not? 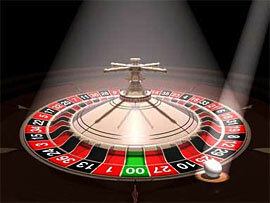 The evaluation of roulette betting systems is a difficult task. Such evaluation is covered with a variety of questions and it is full of disputes. The target of the evaluation process is to determine which betting system is the winning one, which could provide the gamblers with more profits. The main question is "what do we understand under the notion winning system?" There are three common answers to this question. A system which can assure constant profits despite spin outcomes series. A system that can reject the gambler payout disadvantage. A system which can provide the gambler with an advantage based on the perspicacity from the theory of probability and experience. Any system can't guarantee that the outcome of the next spin will correspond to our placed bet. It is impossible to change the gambler payout disadvantage. The gamblers believe that such systems (under the numbers 1 and 2) do exist. They demand certainty. But the roulette is a pure game of chance and it is senselessly to demand it. People even can't be sure in the following day, what will be the weather - rainy or not. Nothing is sure in the life. But the statement #3 has some grounds. And nevertheless it seems a little bit vague to the mathematicians and some gamblers. There are people who think that roulette betting systems do not work. In this case we speak about the no way approach. Their main argument is that it is impossible to exclude or disregard the house edge. For those gamblers who decided to check what system is better for gambling there are some variants of special tests. The "millions spins test", for example, consists of checking different roulette betting systems with the help of special computer programs. Other variant to evaluate the betting system is the reality test. Its idea is simple: if the gambler makes profit from the use of system - it works, if not - it doesn't work. And the third test is the Van Keelen test. It has the mathematical basis. Using this test the gamblers need to place the bets virtually before starting the real game. So, the evaluation of roulette betting system has its supporters and oppositionists.